This Ashtabula Heights Queen Anne, like many of its neighbors, sported a round corner tower, four patterned brick chimneys, a brownstone foundation and porch posts, wood ornamentation in the gables, and a porte-cochere. Construction of the house cost $30,000, well over $700,000 today’s dollars. The Markells moved to 2215 East First Street in 1907 and sold their Ashtabula Heights home to Robert and Sophia Whiteside. Robert died in 1950; Sophia continued to live in the house until her death in 1950. 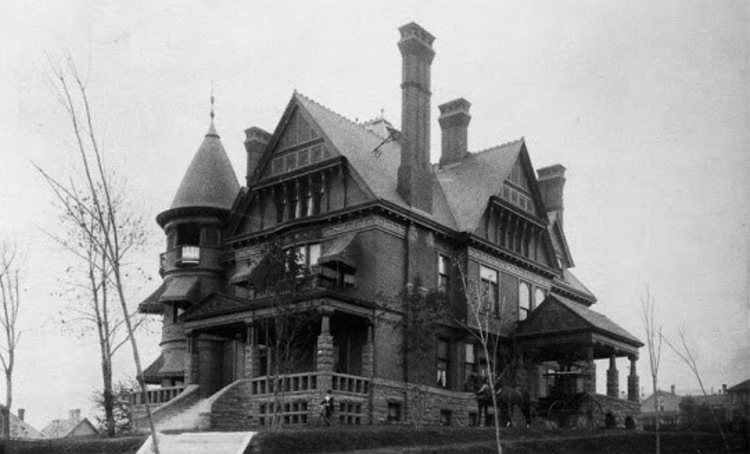 Other members of the Whiteside family lived here until 1961 when the Duluth Catholic Diocese purchased the house and demolished it to build St. Anne’s Residence and St. Anne’s Nursing Center.